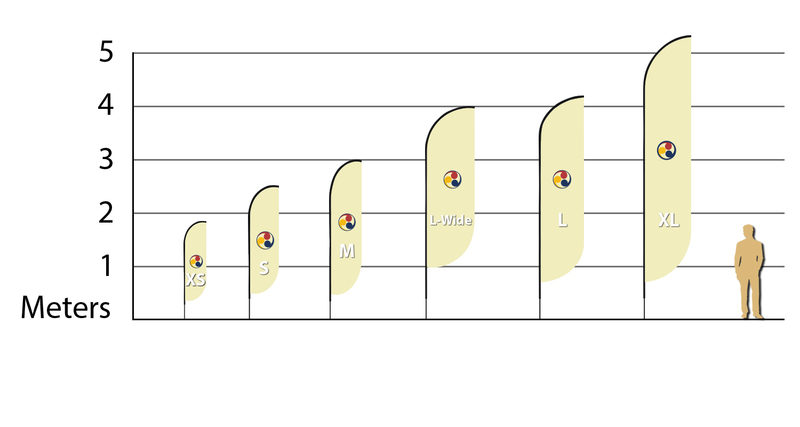 As each beach flag model is unique and has its own dimensions, it is important to indicate them so You, as a customer, would have a clear look at them. 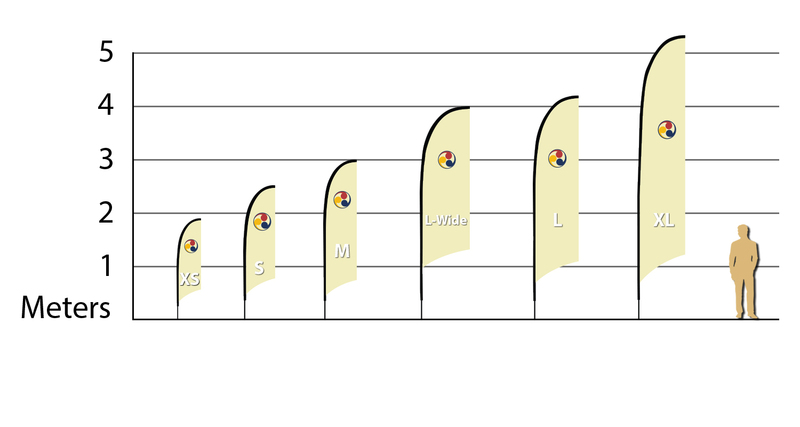 This will also help to see differences in size between different beach flag models. 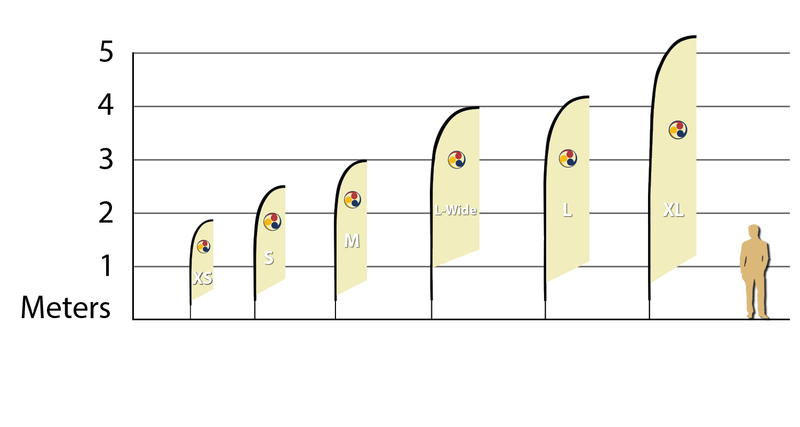 Also, we are indicating the total height of the each beach flag with its construction. 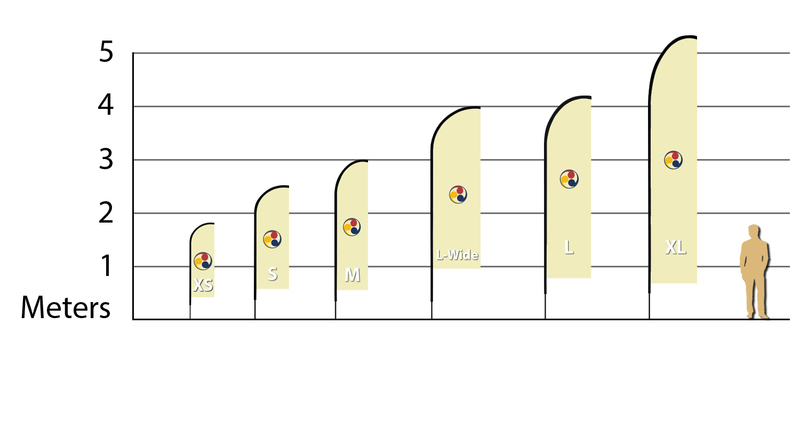 This will help to decide which beach flag will fit your needs for particular outdoor or indoor use. The finished printing size shows the printing section (beach flag). 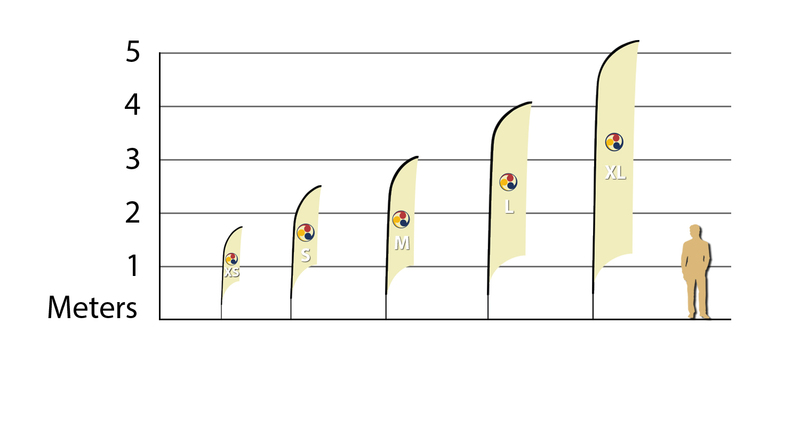 These measurements include the margin by cutting the flag but exclude the tunnel (pocket in black or white). 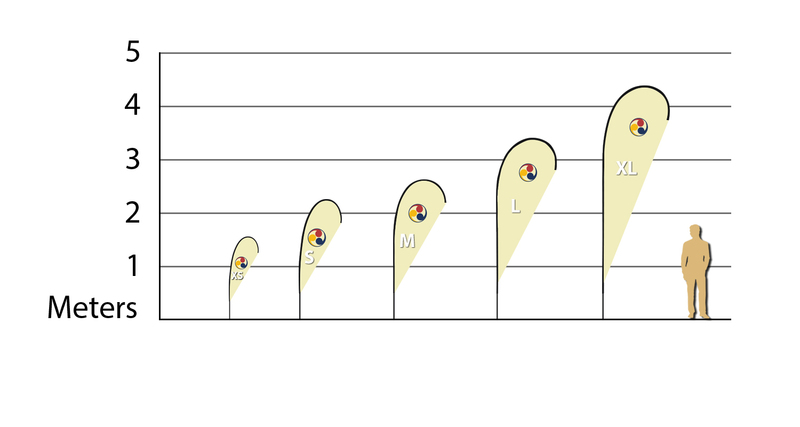 Below you can see all the dimensions of each beach flag model.